The use of algae in water treatment is for Nijhuis Water Technology an innovation as there is a general interest in growing and harvesting algae. In water treatment the interest in algae is based on the fact that they consume nitrate, phosphorous and carbon dioxide and by growing and multiplying they produce oxygen. Nitrates and phosphates are often byproducts in effluents from, in particular anaerobic treatment plants. Algae are actually responsible for a substantial share of the oxygen production by plants in the world. There are thousands of different species. Some species produce up to 50% of their bodyweight as (vegetable) oil, others are rich in protein. 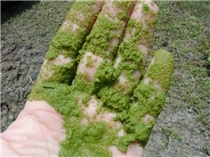 There are many known applications for algae like biofuel, plastic or artificial products. Even based on conventional algae ponds, the production per ha of land can be over 10 times higher in terms of energy crop, compared to growing other crop like palm trees or soya.